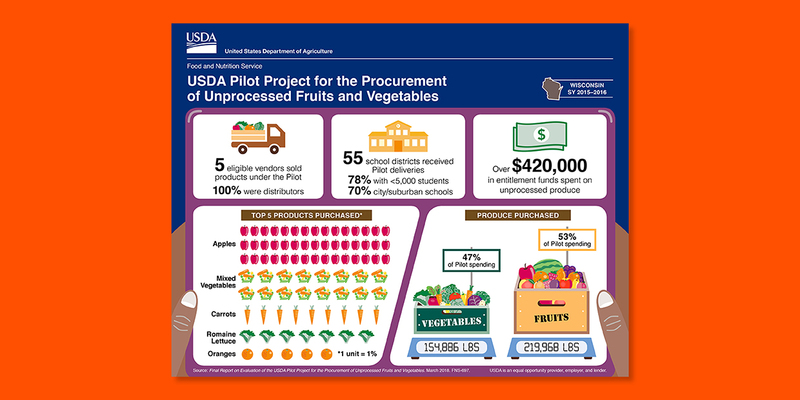 Given data in Excel spreadsheets, I created infographics to show how each state used their pilot funding to procure unprocessed fruits and vegetables. 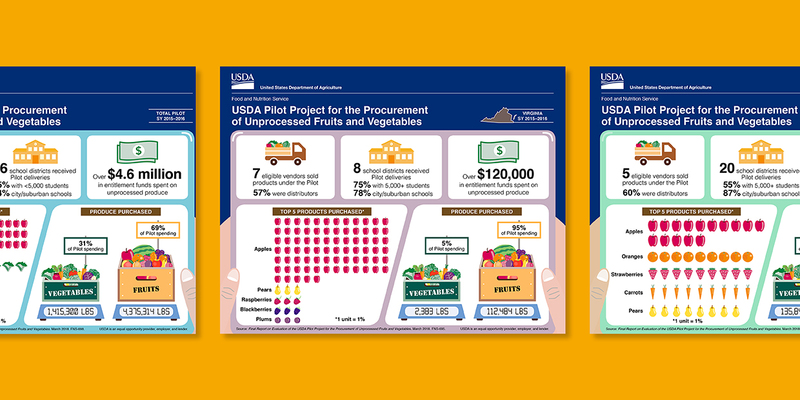 In this project, selected states were given the flexibility to use funding to procure various fruits and vegetables for school meals. I used the idea of a cafeteria as a device to frame the data. I had fun illustrating the fruits and vegetables! 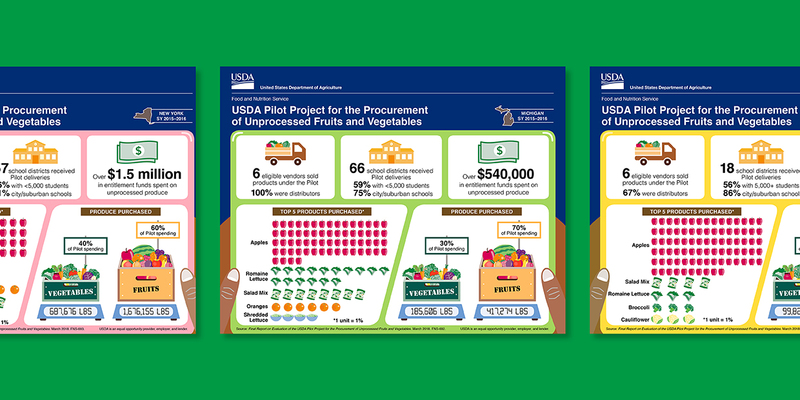 The individual infographics are published on USDA’s website and can be downloaded.